Exness is a forex broker that has been serving in the industry since 2008. It gained customers satisfaction through efficient and effective services. 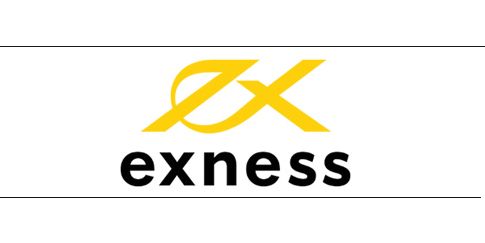 Day by day the existence of Exness in the retail forex industry getting stronger. So many positive reviews can be found online about Exness, albeit some negative reviews also exist. Exness is regulated by Cyprus Securities and Exchange Commission (CySEC). It offers relatively low spread. It has multiple trading platforms metatrader4, metatrader5, web trader and mobile trading platform. 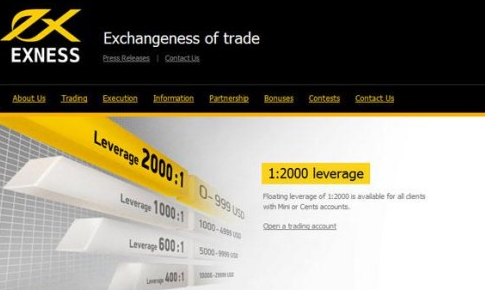 It offers multiple trading accounts e.g. “Cent” Trading Account, “Mini” Trading Account, “Classic” Trading Account and “ECN” Trading Account. “Cent” Trading Account and “Mini” Trading Account do not have a minimum deposit amount. It has so many deposit and withdrawal methods. It provides 24/7 customer services through live chat, telephone, call back services and email. It provides customer services in more than 10 languages. It offers up to 1:2000 leverage. It allows scalping, hedging and news trading. It is not regulated by a strong regulatory body. Information regarding type of the broker is not presented on its website. It does not have social trading platform. Open an Account with Exness ! Dear Traders, Exness forex broker so far serving the customers smoothly. So far there is no scam activities by this broker. If you have any sweet or bitter experience with Exness, you can drop it into the comment section below.